Please select a size. UK 1 - In StockUK 2 - In StockUK 3 - In StockUK 4 - In Stock Please select a size. 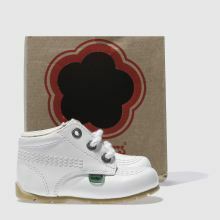 The iconic Kickers Hi arrives for tiny feet. 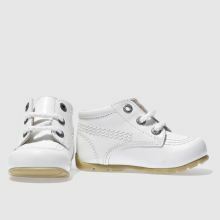 A white leather upper features triple stitched detailing with Kickers written all over it. 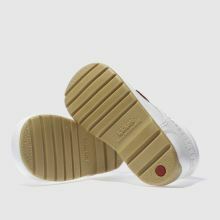 Three eyelet lacing keeps things secure on your tots feet and green and red tabs finish things off nicely.